The Conservative plan for this election was for it to be about personalities rather than policies. Theresa May versus Jeremy Corbyn. The question that the Conservatives want people to be thinking about as they cast their vote is which of the two do you think will be better at negotiating a good Brexit deal for Britain. And the polls suggest that many have made up their mind the answer is May. Making a choice based on personalities may not be a completely stupid thing to do. However people with little knowledge can be extremely poor judges of character. I shouldn’t really have to argue the case for this, but simply point to the current POTUS. How anyone could believe that he would improve the healthcare system and sort out the financial sector is beyond me, but then I had read a lot about him so it is difficult for me to imagine what someone less interested in politics might think. But we know in other situations that brief contacts can be very misleading: job interviews are an obvious example, as are interviews of prospective students. We think we can judge character with very little information, and we often fool ourselves in that respect. Or take, as an another example, Theresa May. Some of us may laugh at the endless repetition of ‘strong and stable’, but good propaganda is always based on a half-truth, and the half truth here is that many voters do think she is a cautious operator and a safe pair of hands. It is likely most people get this belief not from a detailed examination of her past actions, but from how she comes across in sound bites and interviews on the TV. The reality seems rather different. Her actions since becoming Prime Minister appear ill-judged and reckless. Take, for example, the pointless attempt to prevent parliament voting on Article 50. A strong and stable Prime Minister would (with a small amount of research) have realised that very few MPs within her party were prepared to be seen to ignore the referendum, and that therefore she would easily get her way. Instead she fought and lost a pointless battle in the courts. It had not been the first time she had wasted public money in this way. Much more serious were the decisions she took immediately after the referendum. There was no need to immediately attempt to define what the referendum really meant, but she impulsively did so in terms of reducing immigration and not being bound by rulings from the European court. It effectively condemned the UK to leaving the Single Market and a Hard Brexit, something that absolutely was not implied by such a close vote. And she chose three Brexiteers to be in charge of the negotiations, which was not a ‘clever political move’ but a disaster in terms of formulating realistic plans for negotiations with the EU. In fact it is rather difficult to think of a single good decision she has taken since becoming PM. Anyone who thinks her previous stint at the Home Office was more of a success should read the article by Jonathan Foreman that the Daily Telegraph pulled after pressure from her campaign. It ends “There’s a vast gulf between being effective in office, and being effective at promoting yourself; it’s not one that Theresa May has yet crossed.” That could be dismissed as exaggeration at a time of internal battles to become Tory leader, but it chimes with accounts by others. The Foreman article describes her as the most disliked member of two cabinets, unable to work easily with colleagues. Secretive, rigid, controlling, even vengeful are other adjectives used. Two characteristics that I discussed in an earlier post were this lack of collegiality, and a tendency to adopt firm positions when flexibility was required. A clear example of that is the inclusion of students in the target total for net migration, which has done great damage to one of our stronger export industries, as well as causing untold distress to many people. It is difficult to think of any rational reason to obstinately refuse to remedy this mistake, beyond that it might appear to show ‘weakness’ in May herself. The desire to project a false image of strength is unlikely to survive her encounter with the EU. As yet, she has done little to prepare the country for the many retreats she will have to make. Perhaps she thinks she can just lie about this, as she has been caught doing on at least two (here and here) occasions. It is a testament to these character flaws that so many find it difficult to know whether she will do a deal with the EU, or walk away in a faux gesture of defiant strength. 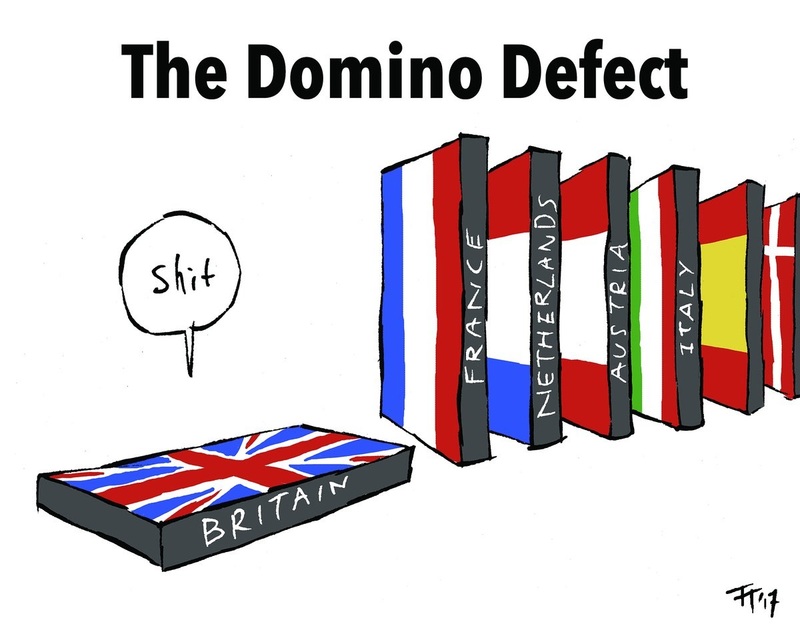 Drawing unnecessary lines in the sand, personal aloofness and obstinacy designed to project an image of personal strength, are decidedly not the qualities you want in negotiating with the EU. Just as with Donald Trump, initial appearances can be deceptive. As her many U-turns suggest, she is far from strong and stable. The spin only works because authoritarian tendencies can easily be confused with strength and obstinacy can be confused with stability, and of course a powerful press can assist with the confusion. In reality it is difficult to imagine someone more ill-suited to making the best of the bad job that is Brexit, and on top of that we have grammar schools and an obsession with immigration. David Cameron may find that his reputation as the worst Prime Minister of modern times may not last very long. I met Nick Macpherson, the most senior civil servant at the UK Treasury from 2005-16, for the first time (I think) a few weeks ago. It was at a conference about, among other things, getting economic ideas across to the public. He is also on twitter, and I saw the following exchange between him and Tony Yates. To be fair to Nick, I get many people saying the same thing: we are at full employment, so we should not be running deficits. Let’s not on this occasion discuss how we can be at full employment when nominal wage growth is so weak, or into the distinction between current and total deficits. The main point that Tony makes above is that you cannot discuss what an appropriate fiscal policy setting should be without thinking about monetary policy. There was one reason, and one reason alone, that we had fiscal stimulus in 2009. It was because nominal interest rates had hit their lower bound. A recession in itself is not a sufficient condition for a fiscal stimulus if monetary policy can do all the work of getting us out of the recession. But when interest rates are stuck at their lower bound, monetary policy has lost its ability to regulate the economy, which means we are either stuck in a recession or are vulnerable to any negative demand shock. Unconventional monetary policy, although better than nothing, is far, far less reliable than conventional monetary or fiscal policy. It is therefore a prime duty of government to ensure that, if interest rates have hit their lower bound, fiscal policy is solely directed at allowing monetary policy to raise rates. This idea is not new. It was always implicit in New Keynesian theory and what I call the Consensus Assignment. Paul Krugman, Brad DeLong and others have been going on about it at least since the financial crisis. The idea should be part of any fiscal rule, as Jonathan Portes and I suggest here, and this is still part of Labour’s fiscal credibility rule. In the UK, at this very moment, we are once again at the lower bound for interest rates. That means fiscal policy is currently too tight. Whether we are at full employment is neither here nor there. Interest rates are at their lower bound because the negative influences on aggregate demand are more than monetary policy can handle. One of those negative influences is fiscal consolidation. That fiscal consolidation should wait  until interest rates are safely clear of their lower bound. This is not one particular theory of monetary and fiscal policy interaction. It is the consensus theory. That it is not understood by the public is understandable given mediamacro. But not being understood by senior civil servants (and I doubt Nick is alone here) when they are free to speak their minds is much more surprising. I’m using consensus theory here, and abstracting from uncertainty. It can wait because there is no problem in financing the deficit, and because we print our own currency there has never been any such problem. There has been much talk of Re-leavers: those who voted to Remain but are now voting for Theresa May to get the best Brexit deal. I had talked about something similar long before the term arose (see here and the previous linked post), so I do not think this is just an artifact of particular poll questions. But I’m also sure that this is not the only reason many Remainers will vote Conservative. Some, as Ian Dunt suggests, just believe that Brexit is inevitable (as you would based on most of the MSM ), and that May would be better at negotiating our exit than Corbyn. Others always vote Conservative because they belong to particular groups in society, and they are sure that party will - whatever happens - protect their interests over others. Think the typical Times reader for example. If we are talking about what you might call the affluent middle class, their assumptions have a solid empirical base. This becomes important once you recognise the dismal economic outlook that faces the UK over the next decade. Productivity growth has virtually stopped. That means that, on current policies, growth in output per head is likely to be pretty slow. In addition, the Brexit depreciation will reduce real incomes, a process that has already begun. Finally May seems determined to reduce immigration as far as she can, which if it happens will damage the public finances. "We do not believe in untrammelled free markets. We reject the cult of selfish individualism. We abhor social division, injustice, unfairness and inequality. We see rigid dogma and ideology not just as needless but dangerous." Furthermore some of the proposals would have been condemned as socialist nonsense in certain quarters if they had been made by another party. For example a cap on energy bills, worker ‘representation’ on company boards, more council housing, a ‘modern industrial strategy’, and of course more measures to discourage (and maybe control) immigration. Now not all of these measures require serious money, but a lot of them do if they are to be meaningful. And, unlike the Labour or LibDem proposals, the Conservative’s plans are completely uncosted. As a result, it becomes imperative to ask how much each measure will cost, and where the money comes from, because that will reveal a basic contradiction between rhetoric and reality. It is extremely difficult if not impossible to tackle social division and inequality if you want to protect your core supporters and are not increasing the size of the cake. You could find the money by raising taxes on business, but given Brexit the Conservatives are unlikely to reverse their cuts in corporation tax. (Not so much because of their economic effects, but to preserve the support of the business community which has become strained by Brexit.) You could find the money by raising taxes that largely impact on the better off, but that risks losing your core support. You could put fiscal rectitude to one side, but that would seriously tarnish the brand. Given these contradictions, the rhetoric above is only likely to be accompanied by token gestures in reality. The most obvious thing May could have done to help the just managing family was to scrap the proposed cuts to in work benefits, and she did nothing. To be able to address inequality and social division without taking away from the better off you need a growing economy. The tragedy for Theresa May is that her insistence that Brexit means controlling immigration ensures  that is very unlikely to happen, and it is not clear she realises this. But surely the change in rhetoric must mean something? The start of a Red Tory era, or the re-emergence of pre-Thatcher Conservatism, or at least the death of neoliberalism in the UK? I will start to believe those things when the IFS starts expecting falls in child poverty, rather than the - policy induced - increases they project. I will start to believe it when the pledge to introduce inequality enhancing Grammar schools is dropped. Until then, I suspect all we may be seeing is the same grasp of economics May has always displayed in government: she wants everyone to have more, while implementing policies that impede economic growth. I fear this Red Tory may be another symptom of the disease that hit the UK with Brexit. We are in the 'have your cake and eat it' era, an era that through its own contradictions cannot last. The MSM where I fear the idea that the current fall in real wages is down to Brexit is now a ‘contested view’, thanks to recent remarks by the Prime Minister. Both directly through the impact of lower immigration on the public finances (uncontested by the Conservatives, perhaps because it comes from the OBR), and indirectly because it means we have to leave the Single Market. The (official) launch of Labour’s manifesto saw mediamacro on display in all its unabashed pre-Keynesian ignorance. The idea that we could spend more on health and education by raising taxes on companies and high earners was so novel and (to many) attractive, the broadcast media collectively decided there had to be something wrong. The manifesto appeared to have increases in current spending exactly covered by increases in taxes, so surely there had to be some mistake. Step forward the Institute of Fiscal Studies (IFS). Now I have huge respect for the IFS and the way it is run. Over the years it has established itself as the organisation of choice from where the media can get unbiased assessments of the size of individual fiscal measures or fiscal packages like budgets and election manifestos. But with this influence comes responsibility. Paul Johnson will freely admit that the IFS does not do macroeconomics. For many years before 2008 the IFS could get away with that, but no longer. The IFS quite rightly said that tax estimates were uncertain because people can take measures to avoid tax increases or new taxes. The manifesto had made an allowance for this, but presumably the IFS thought it was not enough. In the media framing of measures having to ‘add up’ that suggested a potential problem with Labour’s figures. What the IFS did not say (or at least were not reported as saying) is that - when interest rates are at their lower bound - a tax funded spending increase would provide a much needed boost to activity, which itself would raise taxes. This is the famous balanced budget multiplier, which still holds in state of the art New Keynesian models when rates are stuck at their lower bound. The IFS said raising corporation tax would cut investment, but did not note that raising demand would have the opposite effect. Because the IFS does not do macro, these points were simply not made. No one made the point that increasing public investment when real interest rates were about zero not only made good economic sense, but would also boost the economy, probably raise productivity, and itself bring in more taxes. In other words the IFS were implicitly assuming that this package would have no impact on output. When interest rates are at their lower bound that is highly unlikely to be true. Even if interest rates did rise to exactly offset the demand impact of the balanced budget expansion, the increase in public investment will have positive supply side effects. I’m afraid this is a case where not doing macro means that what the IFS says is hopelessly one-sided. It has been 7 years since 2010, which is surely time enough to learn a bit of macro. But this was nothing compared to media incredulity over failing to ‘cost’ the various nationalisation measures. Again the media have had years of being told that privatisation saves the government money, so surely reversing privatisations must cost them money. Of course neither is true in a macro sense. As any business will tell you, if you borrow to buy an asset, you get a return which should pay for the borrowing. When the government has no problem selling its debt at around zero real interest, the question ‘how much will it cost’ is completely irrelevant. The issue is whether this industry should be a private monopoly or state owned. I should record two caveats to this familiar complaint about mediamacro in the coverage I saw. First, the BBC’s economics editor Kamal Ahmed did give a 30 second slot to someone from the IPPR, who very succinctly made the macroeconomics case for both a balanced budget spending increase and additional public investment. It was a single ray of sunshine in an otherwise dreary day. Second, senior Labour politicians still seem unable to robustly defend their own position on this. You don’t respond to questions about why nationalisations have not been costed by saying you do not know what the share price will be. You say as long as we pay a fair price it does not matter what it costs, because the state is buying an asset that brings a return that more than pays for the borrowing. Of course journalists should ask hard questions at a time like this. I just wish they would not persist with questions which show their own macroeconomic ignorance. (It is a problem that arises with Budgets just as much as with election manifestos.) As any macroeconomist knows, there is no reason why the numbers have to add up, and if they didn’t on this occasion that is actually a benefit given rates are at their lower bound. The media’s focus on adding up misinforms viewers, and is classic mediamacro. As any economist knows if this government buys an asset by borrowing at zero real interest rates it really does not matter how much you have to borrow. Ask Labour politicians why they think the industry would be more efficiently run under public ownership, not how much will it cost. But let me end on a positive note. It is great to finally have at least one of the two main parties putting the case for a large increase in public investment when the government’s borrowing costs are so low. It is great to see one party prepared to raise taxes to stop the growing squeeze on the NHS and the new squeeze on education. It is great that Labour have a fiscal rule which tries to represent current macroeconomic understanding rather than the wisdom of the Swabian housewife. Let’s hope this lasts beyond this election. We now have a number of studies of how the media as a whole treated the EU referendum. A short piece by Deacon et al from Loughborough in this volume. The Reuters Institute study looked at the press, and after weighting for readership and visibility they found that pro-Leave articles outnumbered pro-Remain articles 68:32 (page 34). One interesting finding that I had not seen before is that voters generally split in a similar way to the balance of articles in the paper they read: the only notable exceptions were the Times (more pro-Leave articles but more pro-Remain voters) and the Mirror (more pro-Remain articles but roughly even voting split). Of course you can read this result two ways: voters were influenced by their paper or their paper reflected their reader’s views. The King’s College study shows how the Leave campaign, through the newspapers that supported it, were able to reframe the debate on the economics of Brexit. An example that sticks in my memory was Obama’s intervention. I remember seeing an interview with a random voter asking what she thought of this, and she responded by saying how dare Obama interfere with our referendum and blackmail us over trade. It struck me as a very odd reaction at the time (particularly as Obama is popular in the UK), but of course she was simply parroting what she had read in her newspaper. The King's study clearly reveals how the Leave press used the techniques of propaganda to support their side. The Cardiff study focused on the main news broadcasts. In contrast with the press, there was no bias in favour of Leave or Remain. However what they did find was that broadcasters essentially acted as mirrors for the two campaigns. The Remain campaign focused on Tory politicians, so the broadcasters did as well. As a result, Conservatives received much more coverage than politicians from other political parties. As the Loughborough study noted, this made the coverage ‘presidential’ in character. Journalists normally did not question statistics themselves, preferring to let the other side do any challenging. This also meant that the broadcasters focused on the details of the two campaigns, rather than providing the background information and independent assessment that many viewers clearly wanted. Rather than focus on their duty to inform, they played it safe by just letting the two campaigns do all the talking. A consequence of the broadcast media largely providing a showcase for the politicians running the campaigns is the marginalisation of other groups, and in particular those who actually knew something about the issues being talked about. I’m not just talking about economics, but also law and international relations. The Remain campaign prefered to use international institutions (IMF, OECD etc) rather than local experts. The Leave campaign did use one academic, Patrick Minford (who figured in 90 of the articles examined by the King’s group), with the consequence that the academic economist that voters were most likely to have heard of during the campaign represented just 4% of the profession. Economists assume, for sound reasons, that in fact immigration benefits the public finances, which is one reason why the OBR thinks the deficit will be around £15 billion higher each year as a result of Brexit. So why did the Remain campaign not say this more loudly? The answer could well be because the campaign was headed by a government that had used immigration as a scapegoat for poor public services. This absence of a critique mattered a lot: at least one poll showed that the reason voters most often gave for limiting immigration was pressure on public services. Therefore by relying on the political campaigns, the broadcast media misled the public. It is for this reason that I have argued that broadcasters should treat what an overwhelming majority of experts think are facts as facts, whatever politicians say. But I see no sign that broadcasters see the problem (with the exception of climate change), let alone have any inclination to deal with it. As far as economics is concerned, I fear the bodies that represent academic economists also want to avoid any fights. Which means that we are stuck with the status quo for some time. I think this has a major implication for those like me who see Brexit as a huge mistake which people must be given the chance to reverse. The next few years are going to show that the many claims the Leave side made are completely false. The EU will ensure the UK is worse off as a result of leaving. Trade deals with other countries will not come to the rescue. There will be less, not more, money for public services and so on. The government’s response (unless May makes the most courageous U-turn ever) will be to wrap themselves in the flag and say that anyone who is critical is being unpatriotic, and with a large majority no effective opposition within the Conservative party will be possible. . If Labour continues to support a Hard Brexit, all they can do is claim setbacks are the result of government incompetence. Here I disagree with Ian Dunt: criticism that takes Hard Brexit as given and just focuses on a claim that we could do the negotiation better will lose out to nationalist fervour. The reality is also that the LibDem voice is too weak, and will remain so even if they double their number of seats at the election. Given the way our media works, the only way you can constantly remind people that Brexit is a choice we could reverse is if Labour after the election adopts a much more critical position that involves support for a second referendum. Chris Dillow says we should not, and indeed that journalists who constantly ask ‘where is the money coming from’ are pandering to the idea that the height of economic competence for any government is to balance the books. I think his argument makes some good points, but taken at face value it is untenable. To see why it is untenable, imagine a political party that promised to increase public spending, cut taxes, cut back on borrowing and let the central bank control inflation. Should journalists simply let that pass, as if the government budget constraint no longer existed? You could respond by saying that a government that promised the earth would obviously not be credible. The problem with that argument is that a majority of the British people recently voted for a plan that would damage trade with our largest trading partner and most of that majority still believed they would be no worse off as a result. It is part of a journalist’s job to remind the public that basic trade-offs and constraints exist. But I think Chris is right about individual policy measures. It makes little sense to require that each item of addition spending is matched to a measure to raise additional revenue, because this is not how fiscal policy actually works in any country. Whether all taxes should be tied to particular items of spending (hypothecation) is an interesting issue well beyond the scope of this post. Given this is not how current fiscal systems work, journalists and politicians should not encourage a belief that it is. But if Chris is right about individual policy measures, when do we get the discussion of the overall fiscal picture that I argue is necessary? The answer is a simple demarcation. If an individual spending minister or shadow minister is proposing a particular measure, don’t ask them how it will be paid for. Instead ask them whether that measure makes sense on its own merits, and why doing something else within that minister’s remit would not be more preferable. For example ask an education minister whether it wouldn’t be better to avoid coming cuts to school budgets rather than spending money on grammar schools or cutting tuition fees. On the other hand, if the actual or potential Chancellor is being questioned, it makes sense to ask whether the programme as a whole would increase or decrease borrowing. 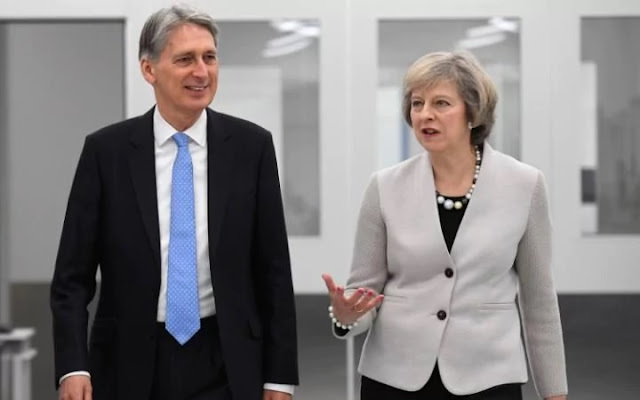 Chris is right that all a Chancellor can do is plan for a particular level of borrowing, but that alone is insufficient grounds for not asking about their plans. Instead what it suggests is a good line of questioning for journalists: if the deficit unexpectedly increases/decreases what would you do? With any luck that sort of discussion could involve some macroeconomics that went beyond bookkeeping. It is here that we can judge macroeconomic competency. In the current context, for example, any politician that fails to note that we are in a liquidity trap (interest rates are close to their floor and the central bank is increasing the extent of its unconventional monetary policy) and that therefore some temporary borrowing on current account would be a good thing is either not competent or is for some other reason still attached to austerity. Any politician that says we must target the overall deficit rather than the current deficit and thereby hold back public investment despite real interest rates being approximately zero is not competent. A really intelligent way of helping the electorate judge these issues during elections is to enable the OBR to cost the programmes of the main political parties, as the Netherland’s fiscal council does. All it would need is a modest increase in resources for the OBR, which would be a small price to pay to improve the level of public debate. Ed Balls asked for that in 2015, but Osborne refused. It was typically short sighted, because at the same time he could have given them the remit to cost the implications of leaving the EU. That would have allowed the OBR to tell us that Brexit would cost the government around £15 billion a year (Table B1) before rather than after the vote. If the assessment of the economic costs of Brexit had come from the independent OBR rather than the Treasury, that alone might have been enough to change the result. Why are the UK and US more vulnerable to right wing populism? A week or so ago, anticipating Macron’s victory and following defeats of the far right in Holland and Austria, I asked on twitter why the US and UK seem to be more susceptible to right wing populism than elsewhere. It is a question that requires much more than a post to answer, but I thought the replies to my question were interesting. Quite rightly, a large number of people questioned the premise. We have populist far right leaders in parts of Eastern Europe, for example. Maybe timing is also important, with the US and UK acting as warnings to other countries. Nor should differences be exaggerated. Macron is quite unique in his achievements, and a runoff between Le Pen and the conventional right or left might have been closer. Trump lost the popular vote, and the Brexit vote was very close. What exactly is populism anyway: as someone said to me recently, elites use the label populist much as populists use the label elites. On the other hand, one of the features of the Macron campaign is that he championed all the things that Brexit and Trump led us to believe were now politically unpopular and therefore to some extent compromised, especially globalisation and the EU. A number of people suggested specific features of European economies that might have cushioned the impact of globalisation more effectively: a stronger welfare state, for example, or stronger union power. One way of describing this is to say that neoliberalism has been less successful in Western Europe. Real wage growth has been poor in the UK and US, which may have a wider impact in electoral terms than higher unemployment in Europe. Another set of suggested explanations focused on the rise of the very rich in the US and UK. Those who had recently achieved much higher incomes and wealth would be naturally keen to keep it, and would therefore do what they could to ensure democracy allowed them to keep (or increase) it. The obvious way to do this is through the media, although recent attempts at voter persuasion discovered by Carole Cadwalladr suggest it is not the only way. The UK press is perceived to be the most biased to the right among this sample of European countries apart from Finland. The US has talk radio and Fox news. These may persuade the non-partisan media to give undue coverage to far right individuals, which then increases their support. To the extent that the very rich are able to influence elections, we get what could be described as a managed democracy. That in turn may be related to a remark by Matthew Yglesias: “You see in Trump vs Le Pen once again that authoritarian nationalist movements only win with the support of the establishment right.” (The centre-right candidate in the French elections, Fillon, recommended his supporters vote for Macron.) Brexit was enabled by a Conservative leader offering a referendum, and more importantly Brexit was encouraged by his party attempting to shift the blame for austerity on to immigrants. Trump has been embraced by the Republican party. This narrative fits with this past post of mine. It seems to me that these various explanations are quite compatible with each other. Where what we might call neoliberal policies had been strong - weak unions, declining welfare state, stagnant wages - these policies created a very large group in society that were looking for someone to blame. In a managed economy that allowed the parties of the right either to use nationalism and anti-immigration rhetoric to deflect blame from themselves, or for the far right to capture those parties. As that rhetoric also hit out at globalisation it potentially was a direct threat to global business interests, but those interests could either do nothing about this or felt they could manage that threat. One final set of answers to my original question focused on history. Europe still has enough memory of living under authoritarian nationalist governments to want to avoid going down that route again. (Macron’s vote was highest amongst the 70+ age group.) The UK and US do not have that experience, and perhaps nostalgia for empire (or WWII) in the case of the UK or watching an empire decline in the case of the US created unique tensions. While these are dark times to be living through (and I suspect many others besides myself certainly think they are), for anyone interested in political economy they are also fascinating times. The real drama of the election so far was provided after the GMB union called a strike at Nestle’s York factory to protest at the management’s announcement that they were going to shift production of Blue Riband to Poland. Although the company merely talked about cutting costs, the local Labour MP blamed Brexit. The day began with Theresa May, frontrunner in the forthcoming election, visiting both company management and union leaders to discuss the situation. The real drama began when Tim Farron, leader of the Liberal Democrats, who is campaigning to allow another referendum on Brexit, ambushed May by visiting workers who were picketing the factory. The anti-Brexit candidate shook hands and took selfies, and later said there was no doubt that the job cuts were a direct result of Brexit. I’m on the side of the workers who will lose their jobs as a result of leaving the EU, he said. But Mrs. May was not to be outdone. After her talks she too went to talk with workers on the picket line, despite chants from some of the workers of ‘we want a second referendum’ and ‘Farron for PM’. She talked with them for an hour, and although she might not have convinced them that she could help, she did win the respect of some. This is fiction of course, apart from the job losses at York. But those who read this Guardian article, or who live in France, will know that this is exactly what happened in the presidential run-off, with Le Pen performing the ambush and Macron having the courage to subsequently talk to the striking workers. As the article pointed out, this French political drama is in complete contrast to the stage managed campaign of Theresa May. In addition Macron has not refused to debate Le Pen for tactical reasons, as both May and then Corbyn have done. This and the last election have been about selling brands, but unlike advertising there is no requirement to tell the truth. 2015 was all about a strong economy in capable hands: the economy was not strong and the hands sacrificed the economy for political gain but they kept on saying ‘long term economic plan’ and won. This time they are selling Theresa May as strong and stable, strong enough to bow to pressure on self-employment tax and stable in her views on Brexit, but again the marketing will win. There is no doubt that something is very wrong when politics becomes about selling advertising slogans that are not true. But who is to blame for this situation? Janan Ganesh says the problem is that there are just two attitudes among the public about politics: indifference and obsession. I often think that the indifference is summed up by the phrase ‘all politicians are the same’. Taken at face value this assertion is clearly wrong, but what I think it means is that the person talking does not have the time or inclination to work out how politicians differ in a way that matters to them. But this indifference does not stop people forming political opinions, often quite strong opinions. So why are we getting an election where the Prime Minister wants to avoid debate or questioning as far as she can? Krishnan Guru-Murthy is right that the media should try and discourage this way of running elections. But that needs to involve more than telling people when meetings are completely stage managed. The media needs to look at why spin doctors might want to minimise encounters with the media. For part of the answer you only need to look at how it puts gaffes before policy, as Diane Abbott discovered on Tuesday. Guru-Murthy’s own news program led with it, and all the discussion was about gaffes rather than police numbers. Justifications along the lines of how this can reveal something about the competence of the person who made the gaffe may sometimes be true, but as a general defence it is not very convincing. As Mark Steel tweeted, if she had only put the numbers on a bus she would have got away with it. The real reason broadcasters make so much of gaffes is that they make great television. Who doesn’t want to see a politician embarrassed? But the consequence is politicians retreat to gaffe-proof platitudes. Labour politicians used to speak in a strange manner that seemed to be designed to avoid giving ammunition to the Daily Mail. It was one of the reasons Jeremy Corbyn, who said what he thought, won the Labour leadership.